Dubai UAE, 21 February 2019: Procter & Gamble (P&G) today announced a new commitment around a number of initiatives that will promote gender equality across the Indian Subcontinent, Middle East and Africa (IMEA) region. 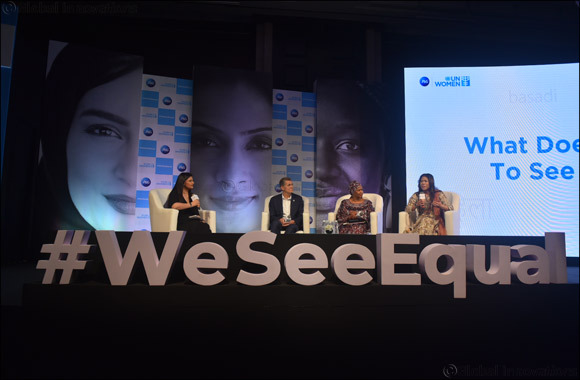 The declaration, which was made by P&G’s IMEA and APAC President, Magesvaran Suranjan during the company’s inaugural #WeSeeEqual Summit in partnership with UN Women in Mumbai, is part of the company’s citizenship focus on being a Force for Good and Force for Growth. ii. Deliberate intention to hire Women Owned Businesses in South Africa, UAE, Egypt, India & Nigeria are long standing examples of this focus. - Internally, P&G is working to create an inclusive, gender-equal environment with 50-50 representation of men and women at all levels and all parts of the company. P&G hires 50% women into management across the world, and an increasing proportion of women gets promoted into leadership roles into their next assignments at the same progression as men. This is consistent with P&G’s history in IMEA. In the Gulf, P&G has been a proponent in promoting active discourse on gender equality, both within the organization as well as with communities across the region. P&G hires an equal ration of women and men in Dubai, for its operations as its regional headquarter. P&G was the first FMCG Company in the Kingdom of Saudi Arabia to obtain a license to employ women, with 20% of its leadership team comprising of Saudi female nationals. The company is promoting positive perceptions of change through its advertising voice; released last year, Always ‘Saudi Generation of Firsts’ campaign was the first to be directed and produced only by women. P&G is supporting wider efforts to ensure that we move the issue of gender to the top of the region’s priorities in 2019 and beyond. “We believe that by playing our part in areas such as #WeSeeEqual Summit and taking an active role both within the company and outside will collectively help move forward our shared vision of empowering equality in IMEA and the world,” concluded Suranjan.